The advent of paperless media has affected more discrete in appearance and in their use and distribution: the very creation has been disrupted. Indeed, the physical media has been a constraint as such, to be considered in the creative process, and has had an influence on the form. Some constraints are evident, for example for music: the total duration of an album now has virtually no limits imposed. Others are more subtle for the consumer, but not less inconsequential to the creators. Speaking of music, back two generations back format, with the disc LP. The rendering quality of this analogue was directly associated with the rotation speed, and for good reason, since it depended on the amount of information read in a given period. As the disc has really only one spiral groove, outside the disk was therefore a better definition than the inside. So much so that some works, including literary classics were engraved "backwards", that is to say, with a spiral from the center of disc outward, so that the final crescendo enjoys a better sound quality. Film on film knew a similar constraint: the reel change when it was screened. A feature film is on several rolls of film. When projecting, the projectionist must switch from one film to other using visual cues to the same frame of film. These small circles (or ovals if the film is anamorphic), are displayed in the upper right corner of the image on two occasions: the first to indicate the impending change of coil, and the second to the projectionist that performs the rocker projectionists had also a trick to get the audio signal switching coil, a small bell which the mechanism was based on the coil itself, and that was the cause of vertical stripes of the image when it lacked lubricant. The reel change was a result more importantly, this time at the creative level: at the screening, it was manual and imprecise and therefore could be down to the frame. It therefore needed a change of scene to picture: impossible to maintain a plan, a sound, or even a dialogue, a reel to another. 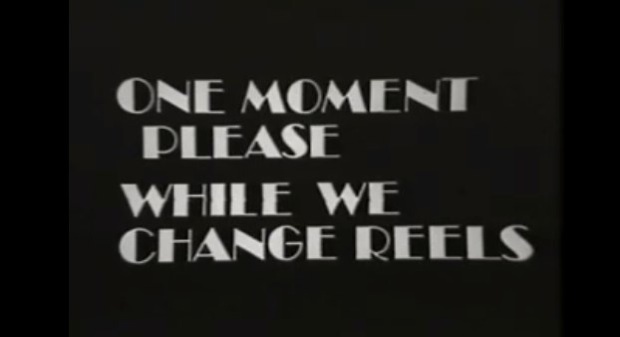 The reel change imposes an interruption in the narrative process. Especially as the image "jumps" on the screen when switching from one coil to another and it is better to do during a fade to black. Not only this technical constraint of the physical media requires a change of scene at a given time, but it imposes the same effect transition from one scene to another (though many films have nevertheless chosen to overlook it). All these constraints disappear with digital cinema, projected in one go from hard drives. Scenes can then be the duration required by the story itself. But upstream of the projection, dematerialization is up filming techniques, and again it releases the creative process. Digital cameras such as RED EPIC, no longer store the images on film, but on SSDs, and therefore without any mechanism. Thus, it becomes possible to turn plans that no longer require absolute stability of the camera. Previously, simple thrills made filming impossible, since the delicate mechanism of the camera required a precise alignment of the film. Better yet, these cameras have become much more manageable, since got rid of their bulky stores dandruff. It therefore becomes possible to shoot scenes once unimaginable only because of the support physical. But dematerialization affected primarily another part of the film before shooting or projection, it is obviously post-production. But do abstraction tools for digital processing of the image, which did not itself depended on the support or its absence. The assembly, however, found himself freed from many constraints from the moment he freed himself of the support. While it used to physically cut the film or tape, mounting virtual experimentation has released the editor without loss of time, and even allowed to perform once unimaginable feats of virtuoso with the physical medium. Paradoxically, this liberation from the constraints imposed by the support can have a negative impact on the creation, as it feeds, among other constraints. But if there is more support, there is still a format. The technique still retains many limitations: the aspect ratio, the number of frames per second, video compression, focal length, lighting, time constraints and / or budget, and many others, are all elements that continue to impose their rule to the artists, and require their choice part. The dematerialization continues to evolve, with streaming and cloud, the works are not even on our hard drives. Such data ethereal, without incarnation, although they are still stored on servers, lose more of their physical substance to live only in the "cloud". The irony is that the works have been so inseparable from their supports that the terms are confused beyond their use. What make future generations somewhat perplexed on this strange etymology, although the perforated film 35 mm will long remain the graphic film. But it is with this back to basics of the data that capture itself becomes more crucial. The film won a little more realism with the advanced technology, with mono sound, color, stereo sound, and then surround the relief ... the film, which is folded to HD without flinching, not will be gone tomorrow if it comes to further increase the definition screens. And it is the incompleteness of the data which will limit the return of the real as our ability to increase the replay more finely. Hollywood already is working with performance capture, which no longer records the way light reflects off the real, but the slightest movement of bodies in space, and allows you to reposition a virtual camera at any point after capture. Only a few genre films are suitable, the price of a harness, for actors and a skeletal decor. A handful of films using this method for now, but the freedoms it offers could well make the standard tomorrow. The disappearance of physical media offers new latitudes and to explore new horizons, to produce works that were once technically infeasible, and opens wider access to creation. The talent, he remains still unequally shared.